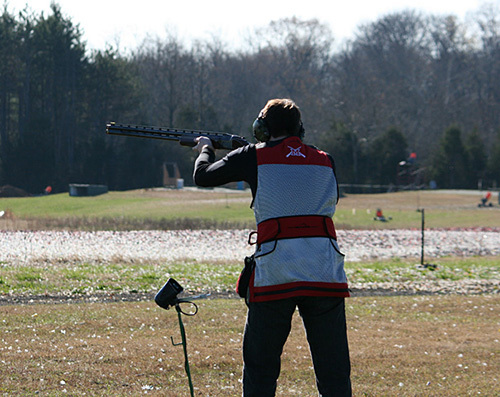 The Middletown Sportsmen’s Club (MSC) is the perfect place to meet new friends or socialize with an existing group who share the love of trap shooting. With 20 Trap Fields available, MSC can accommodate all groups, large and small. The sport of trapshooting will have a number of shooters lining up in a row, along five set positions (or stations), facing the trap house. A full round of Trap includes 25 clay targets – five being shot from each of the stations. Targets are launched at random angles and flight paths at about 40 mph. Shooters each take their turns at each station and scores are tallied in a range of zero to 25. One point is earned for each bird broken (or target broken).